WASHINGTON — The Senate Veterans’ Affairs Committee’s top Democrat said President Donald Trump’s pick to take over Veterans Affairs promised not to privatize the department, but the nominee hasn’t fully discussed the issue with the commander in chief yet. Sen. Jon Tester, D-Montana, met with White House physician Ronny Jackson on Tuesday morning in advance of his expected confirmation hearing next week. Tester said he has not yet made up his mind whether to support the nominee, but said the two had a productive discussion about the challenges facing VA.
That includes a broader fight over how much veterans medical care funded by the federal government should take place outside of VA hospitals and clinics. “He seems to be someone who is going to listen to the veterans and the veterans service organizations, and seems to be someone who doesn’t want to privatize VA,” Tester said in a press conference after the meeting. The event underscores a growing rift between some of the country's most prominent veterans advocates and the White House. Officials within Trump’s administration have pushed for more aggressive private care options for veterans frustrated with delays at those medical centers. But critics, including most major veterans organizations, have argued against “privatization” of VA responsibilities and resources by pushing too many medical appointments to outside doctors. 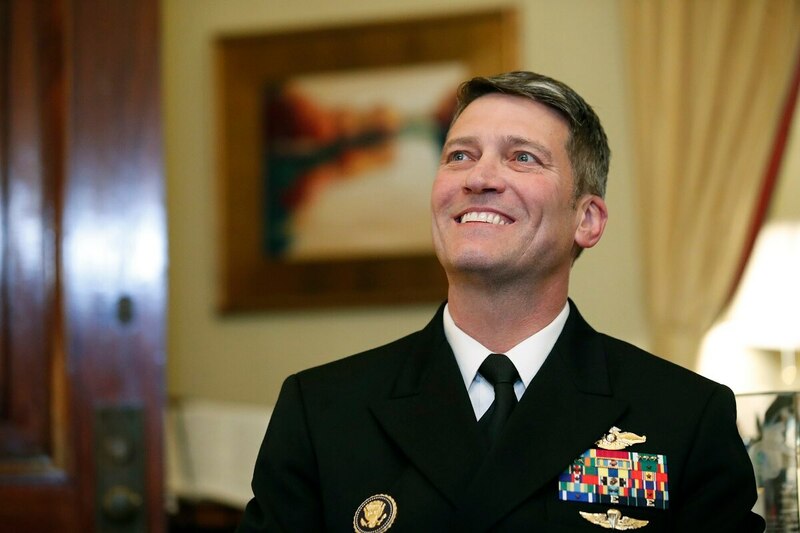 Democrats have vowed to make that a litmus test for Jackson, who was picked for the job after the firing last month of former VA Secretary David Shulkin. Shulkin has said he believes he was forced out because of his opposition to policies that amount to privatization. White House officials have said it was because he became a distraction after a travel scandal and his subsequent claims of insubordination within his own administration. Tester said he is not sure if Jackson’s position is in conflict with Trump’s. The pair also discussed Jackson’s lack of familiarity with VA — as an active-duty Navy admiral, Jackson is not yet a veteran — and his lack of experience managing an agency the size of his new department. Tester said the nominee is confident he is up to the job. Whether senators agree remains to be seen. Jackson’s confirmation hearing is expected to take place on April 25, and Democrats are promising to press him on a host of concerns with his nomination. On Monday, Jackson met with Senate Veterans’ Affairs Committee Chairman Johnny Isakson, R-Georgia, who similarly called the meeting a good introduction to the man who could take over VA’s nearly $200 billion operations. Jackson is scheduled to meet with other senators throughout this week. Defense Department Under Secretary for Personnel Robert Wilkie is serving as the acting VA secretary for now.